Under current U.S. law, pharmaceutical companies are required to only market and advertise their drugs for FDA approved conditions. Big pharma heavy-hitter GlaxoSmithKline (GSK) illegally influenced doctors to prescribe the antidepressant drug paroxetine (sold under the brand name Paxil) to teenagers and kids for years even though it was not FDA approved for use in adolescents. Not to be discouraged by pesky laws, GSK began a focused marketing blitz aimed at doctors, which was a huge success with over 2 million Paxil prescriptions being written for kids in 2002 alone. 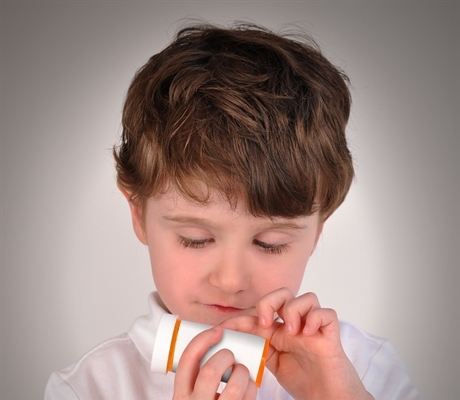 So why did doctors write over 2 million Paxil prescriptions for children when the drug was not even approved by the FDA for use in kids? GlaxoSmithKine actually funded a research study that was published in 2001, known as Study 329, which claimed to show that the drug was “well tolerated and effective” in children. A subsequent study, not funded by the pharmaceutical company, had drastically different conclusions as to the effectiveness and safety of Paxil in adolescents. A major new analysis of the raw data behind Study 329, published in BMJ, suggests that the original conclusions were wildly wrong. Not only is Paxil ineffective, working no better than placebo, but it can actually cause serious side effects, including self-injury and suicide. The New York State Attorney General’s office eventually found out what was going on with Paxil (and fraudulent activities related to other GSK drugs), sued GSK, and the company pleaded guilty to the wrongdoing, paying out $3 billion in fines. Through legal discovery, it became clear that the company knew their data on Paxil for teens was problematic, even hiring a PR firm to ghostwrite Study 329. In 2004, the FDA added an explicit “black box warning,” recommending against Paxil’s use in adolescents. The researchers also found that Study 329 was fundamentally flawed. Researchers drastically downplayed serious risks and harms in their analysis of the drug, while intentionally manipulating their data. To put this entire episode in perspective, GlaxoSmithKline not only created intentionally misleading “scientific” research, but attempted to use this misleading study to get doctors to prescribe its anti-depressant – to kids – for “off-label” use. The entire time GSK knew that the drug had no more benefit to children than a placebo and could lead to suicide and self-harm. While GSK was massively fined for marketing Paxil to adolescents, drug companies are attempting change the current law to allow them to promote their products for uses that have not been approved by the FDA. Two companies have sued the FDA, claiming that the current law violates their First Amendment right to free speech. In August, a federal court in New York ruled in favor of one of the companies, Amarin, which sought to market its prescription fish oil for off-label uses. A second company filed a similar lawsuit arguing that it should be allowed to promote its post-surgery pain drug for uses that are much broader than those authorized by FDA, according to Vox. Writing for the Boston Globe, Ed Silverman explained the reality being faced. “Beyond matters of constitutional law and governmental oversight, the pharmaceutical industry is clearly angling to boost prescription sales. Of course, this would fatten bottom lines, a good thing if you happen to be a shareholder,” Silverman said. If pharmaceutical companies are successful in changing the law, it could potentially have major implications for public health and safety. The ability of patients and doctors to discern the difference between slick marketing ploys and evidence-based science may become even more difficult than it is already if the drug companies get their way. Please share this story to help wake people up to the big pharma rip off! TLB recommends you visit The Free Thought Project for more great/pertinent articles.